Organizations have limited resources to invest in safeguarding their data. Knowing exactly which data needs protection the most will help you allocate your budget and other resources wisely, to maximize security and compliance while minimizing costs. That’s why many organizations are investing in data classification tools. However, many of them struggle to get the results they need from those tools. Instead of being able to focus on properly managing and securing their sensitive data, they end up spending far too much precious time and effort trying to reduce false positives and false negatives. What Netwrix Auditor’s features allow you to decrease the number of false positives and negatives? 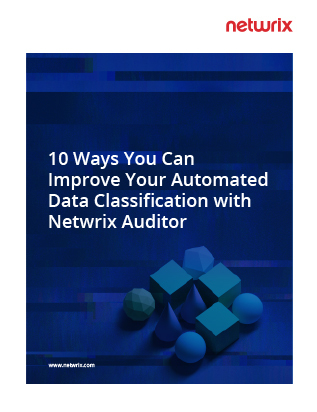 What data discovery and classification workflows does Netwrix Auditor help you implement?